Goreth Nizigiyimana is a jewelry maker. She is a widow and the mother of 10 children – 6 are her own, and 4 are the children of her older sister whom she looks after. “Being a widow and the mother of ten children was a very difficult situation to be in. After my husband died, I really struggled because I did not have a job. To survive, I started doing small things, like selling unripe bananas, but sometimes I would not sell anything. It was very upsetting for me as a parent, watching my children cry because of hunger and not having anything to give them – it was heartbreaking. Then I began to work at Kaz’O’zah Art. I was trained in jewelry making and started to earn a monthly salary. I am now able to afford our daily meals, my children are no longer hungry”, says Goreth. 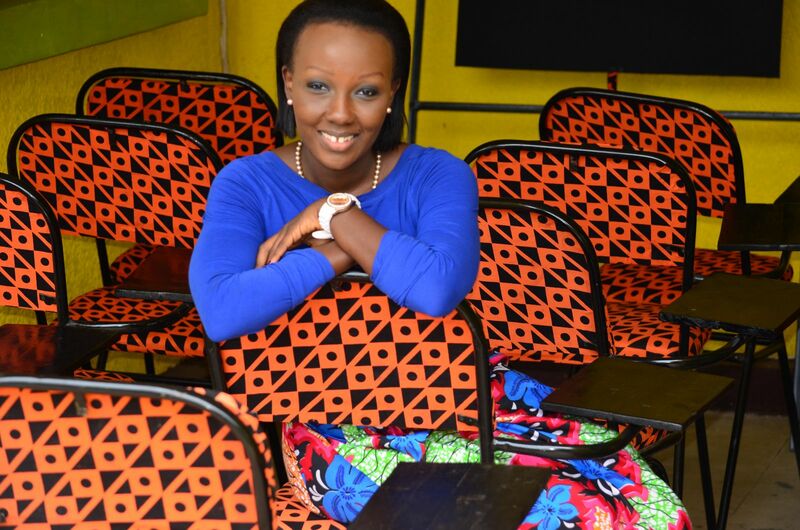 Ange Muyubira, is the founder and executive director of Kaz’O’zah Art, an organization that trains and employs over 144 Burundian artisans. She started the organization after returning home to Burundi following several years spent as a refugee in the United Kingdom. With over 80% of Burundians living on less than $1.45 and 45% of young people unemployed, Kaz’0’zah mitigates the risk of the current political situation worsening due to economically-driven violence by empowering Burundians with sustainable livelihoods to support their families – a good reason for them to want peace to return quickly rather than to engage in political violence. In 2008, Ange returned home to Burundi were she started informally working with local artisans to ensure that they were producing modern designs that appealed to western tourists and would therefore fetch these artisans higher prices. Like in many countries, Burundian artisans are grossly underpaid and often experience sporadic incomes, which make it difficult for them to plan for their families. She saw this as an opportunity for her to impact the lives of multiple families and also bring the spotlight on the strong artisanal tradition in Burundi. Clients now include not only tourists but also local Burundians who have fallen in love with Kaz’O’zah’s apparel and home goods, corporates and foundations that turn to her for their event decor and giveaway packages as well as nonprofits in the family planning space. Kaz’O’zah has installed a sense of pride amongst Burundians for Burundian-made products while providing Burundi’s artisans with job training, sustainable income and equipping its artisans with the life skills that they need through Kaz’O’zah Keza, the nonprofit wing of the organization that started in 2015. The Art Innovation Incubator is a four-month training program that teaches vocational and creative design training. It focuses on tailoring, weaving, jewelry-making, leatherwork, and woodworking. Non-vocational training is also taught and covers basic business and entrepreneurship, forming cooperatives, English (because the artisans are proud of their work and want to sell their own products) and health and sanitation programs. After graduation from the Art Innovation Incubator, artisans are hired by Kaz’O’zah Art (for-profit arm) or are supported to start their own cooperatives. Ange’s goal ultimately is to ensure that all the artisans that she trains become independent business owners from whom she can competitively purchase products and market these goods both home and abroad. Through Kaz’O’zah, she has been able to get all her artisans banked within the formal sector so that they can keep their money safely and through this program. Additionally, Kaz’O’zah provides artisans with easy access to lines of credit to address life emergencies that some artisans face from time to time. This organization provides not only meals to the artisans but teaches them about balanced diets. For one of her artisans, these meals and lessons on eating well became the difference between life and death as they enabled her to successfully take ARVs that she needed to sustain her health given her HIV positive status. Following Burundi’s 2015 elections, the country spiraled into civil unrest again and thousands of Burundians fled the country. 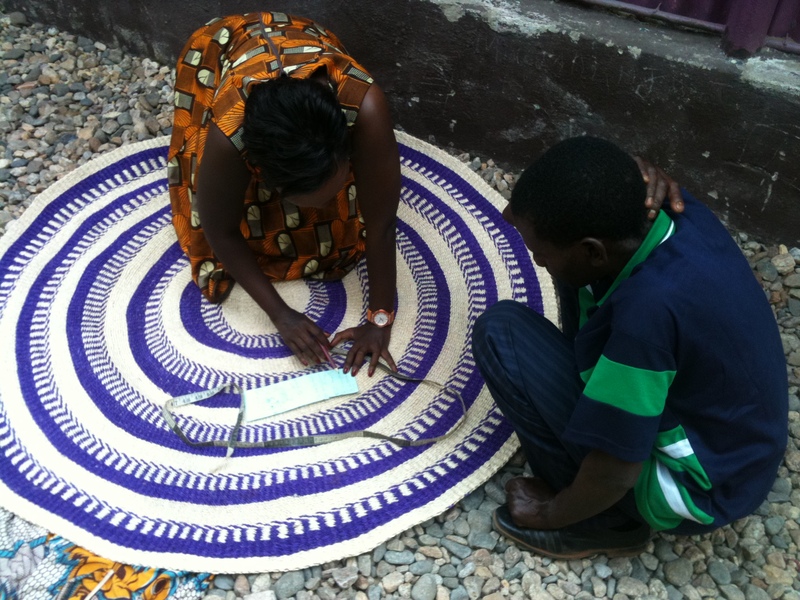 When interviewed about her decision to stay in Burundi and continue operations at Kaz’O’zah, despite the attempt of several partners to cut off funding, Ange assures that the artisans still need to feed their families and coming to work provides a sense of constancy that supports their emotional and mental health. Inspirational story! Community development, one initiative at a time…. Congratulations Ange. You are an inspiration for many.